"The Americans" is a fast-paced, absurd, multimedia sketch comedy show parodying American family, politics, and culture. When money problems hit the once wealthy Americans, the family members scramble to gain control of their crumbling world. Republican dad Sam takes desperate measures to reverse his growing credibility gap. Left-wing mom Libby vows to maintain the household's feng shui. Spoiled daughter Mary chases celebrity while fending off advances from her boyfriend Ira Raq. What will happen to The Americans? 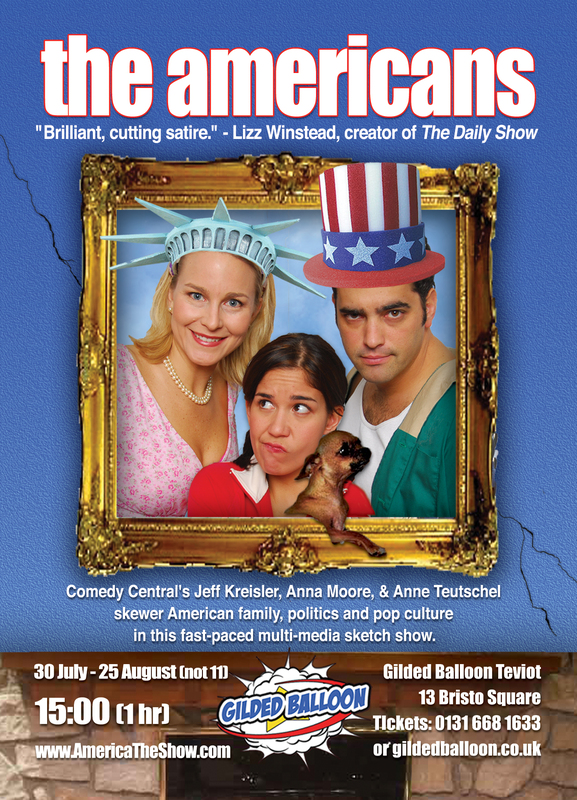 From UpTop Productions: Comedy Central's Jeff Kreisler, Anne Teutschel and Anna Moore. 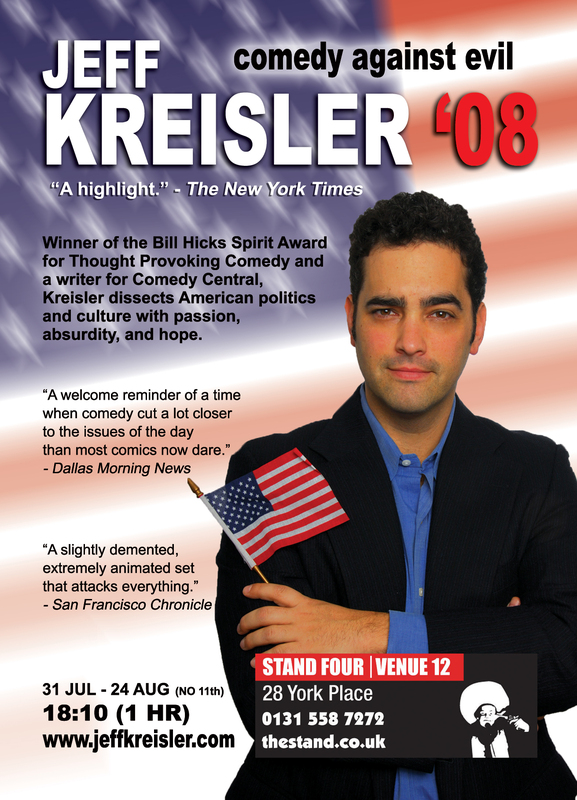 "Brilliant, cutting satire" - Lizz Winstead, creator of "The Daily Show"